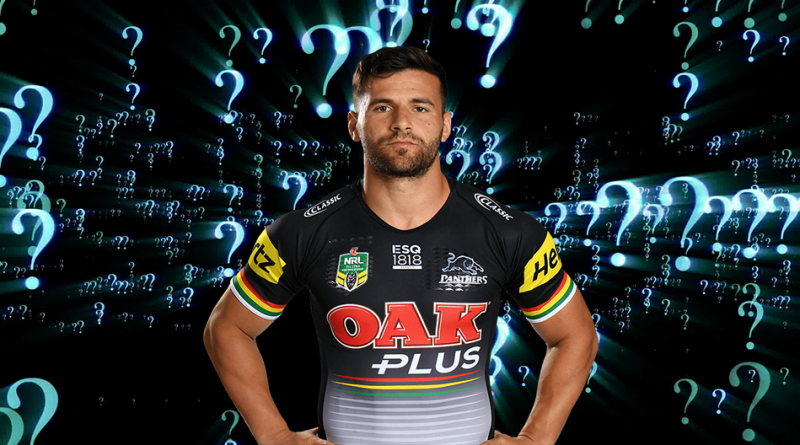 Josh Mansour ($459,200 / CTW) or otherwise known as “the Sauce” is a fallen CTW gun best known for his beastly base stats, try scoring and as a true cult hero of the mighty Penrith Panthers with that beautiful beard. Mansour’s SuperCoach output however, has been mixed at best over the past few years, failing to crack the 60 PPG mark since 2016, where he averaged 63 PPG. Injuries have been a valid excuse of late with an ACL injury suffered in the post-season of 2016 highlighting his troubles. 2016 – He was having an outstanding NRL season running 4309 metres, scoring 16 tries, 25 line breaks and 40 tackle busts. At at the end of the season makes the Australian Four Nations team. 2016 – He ruptures his ACL in a freak training accident during the Australia camp. 2017 – He returns for the Panthers in Round 13 for a 38 to nil win vs the Bulldogs at ANZ and starts performing very well by the end of the season, averaging 66.2 PPG over the last four rounds. 2018 – In round 6 vs. the Titans he is injured thanks to a flying knee from Anthony Don suffering five separate fractures to his cheek and eye socket. He had averaged 49.1 PPG in the lead up to the injury. On his return from the injury he finished off the season (from round 19) averaging 52 PPG. My point here is, if he can stay fit and assuming that he is now fully recovered from his ACL injury then there is the potential for real value in his starting price. With the injury history out of the way let’s have a closer look at why he’s considered to be a fallen “gun” in the SuperCoach game. Put simply, Mansour is a base stat king, with average BPPG of 28.6, 28.3 and 31.6 over the past three years. Of the highest averaging CTW players over these seasons only Blake Ferguson has produced better base statistics at 35.7 BPPG. With the Panthers relying on their back three undertaking a lot of work to get them out of their own 20, Mansour will once again have the opportunity get that base! It is worth remembering that in 2016, the year where he averaged 65.7 PPG, the Panthers were the sixth best in attacking side in the NRL. They have a squad that is definitely good enough to challenge this in 2019 and perhaps go even further. In 2016, he had had Peta Hiku inside him at centre 11 times and in 2018 it was Tyrone Peachey for twelve games, so it’s hard to find a comparison given they both have a reputation for hogging the ball. However, I’m sure there is a link and it’s good news for Mansour that Peachey has finally left the building…. The fixture also looms positive, at least early on, for Mansour. Two of his first five games are against Eels and Knights, teams that conceded the equal most amount of points to CTWs last year. So assuming he is fully fit, there is no Peachey playing inside him and he has some favourable match-ups to start the season, what’s not to love here at the price? From my point of view, I think he’s definitely worth a punt from round 1, what about you? A big big thank you to NRL SuperCoach Stats, a lot of us could not get these figures anywhere else without you. I had Sauce as my first CTW picked in the first iteration (of about a thousand now) of my team, but switched him out and basically forgot about him. I’ll definitely be going back and having another look. Great write-up mate. Definitely considering. Fallen gun, injury free and no sticky fingers inside him. Bounce-back candidate for sure. ATM I have Marsters as my CTW gun and considering taking a punt on Bird. The rest of my CTW are filled with cheapies. if I go cold on Bird, I think i’ll be trying to make room elsewhere to replace him with the Sauce. I will be sticking clear. Hasn’t looked anywhere near as damaging or confident since he did his ACL. My thoughts exactly. Injuries are very difficult to overcome and yes i know he hasn’t suffered the “same” injury ad nauseam but they were still injuries. For a similar price the two Canberra 2RFs look the goods but what about Joseph Manu – that dude looked awesome at the back end of last season. For me he is yesterdays hero, injury prone and at $450k looks expensive to start. Capewell , Bateman rookies look to better risks atm. One of many players I would look to upgrade to getting closer to the byes. Hope the Sauce has a good year and rewards his owners but needless to say I need him cheaper , near bye time. The Sauce will b worth every penny , thx tommy 4 the write up. Just a note to everybody that there may be a bit of bias in this post. I was keen on him with my first draft but I rather see whare there instead of Blake who is as bad as peach imo seems like Panthers Blake is benefiting more with kikau inside him. Agree with this summation OTB, which is why Waqa Blake is on my radar more than Sauce is. Still can’t squeeze him into my side atm, I can see him racking up a few tries early on which he relies on somewhat but it is the name of the game. I also like combo’s and have Kikau cemented into my side and they should combine well. Blake became a nice pod for those that backed themselves , I couldn’t pull the trigger because I kept thinking it’s a one off but he kept producing . seems like he will be the go to back once again (having kikau inside him helps heaps too lol).